Over the years I have built up many cables. I started as a student who wanted some van den Hul but had little cash and I put plugs on all sorts of wires and tried and listened to all sorts. Then in the early 90s the shop I worked for also imported van den Hul. We brought in bulk cable, empty boxes and loose plugs. When the chap who built all these left I took over. I built hundreds of D102 III Hybrid and Source, videolink , Patchbay B5, Thunderline. Everything except the pure carbon conductors The First and The Second as they need a special process. Lots of Revelation, Revolution and Wind speaker cables. 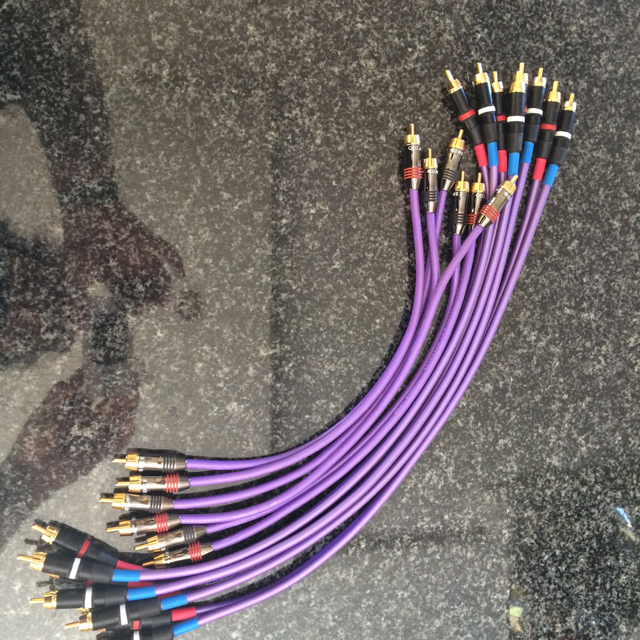 I will post some pics of the Croak interconnect cable builds and re-terminations here. 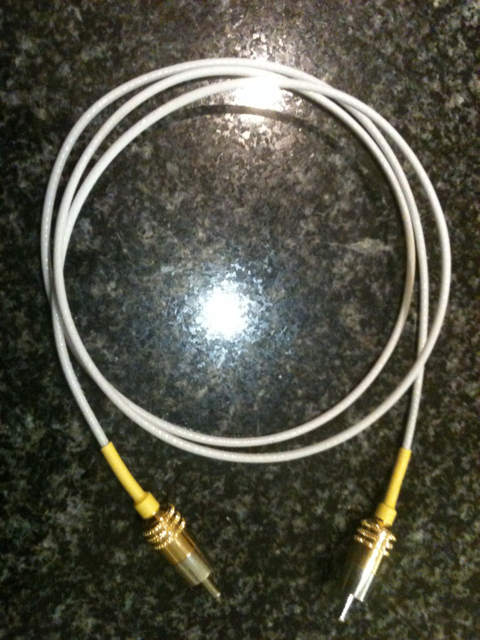 if you need a high performance cable in a custom length let me know. 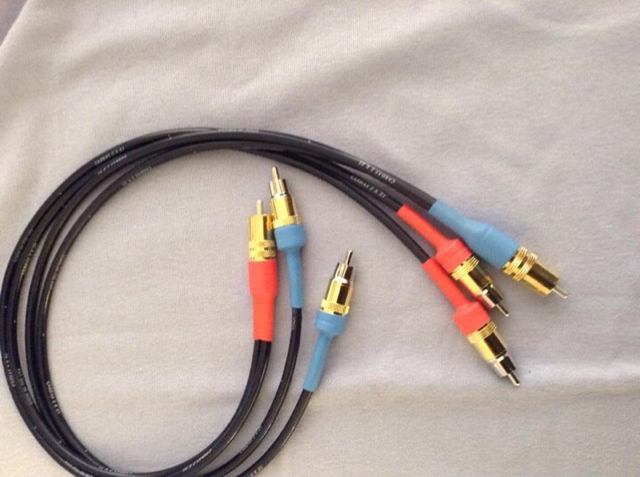 XLR changed to RCA and vice versa. 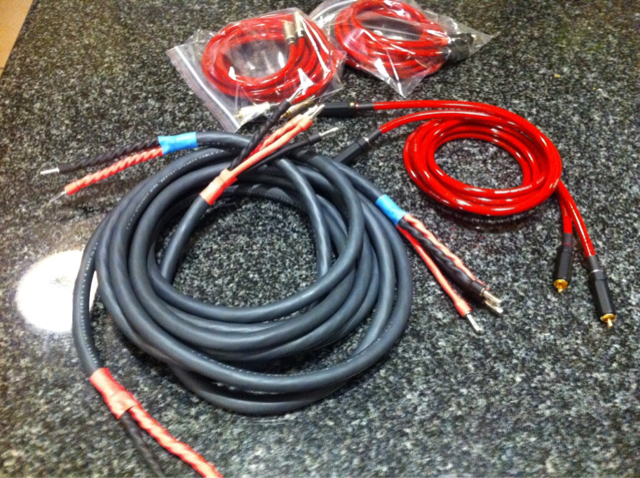 Bi wire changed to single wire or bi amp etc. I will do my utmost to keep the factory aesthetic and all terminations done on temp controlled equipment using Cardas Quad Eutectic Silver content solder. 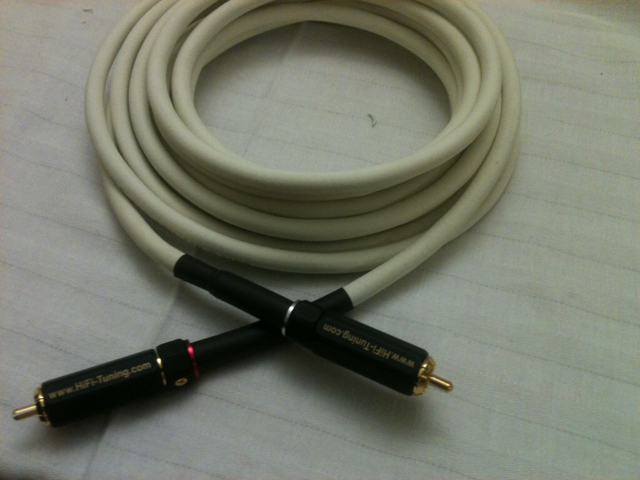 Cardas RG179 digital co ax cable. 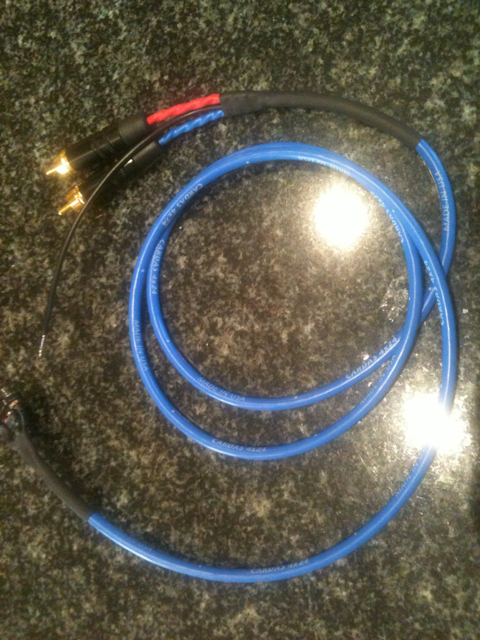 Tone arm lead using Cardas 24awgx4 on to old style SME 30xx type plug. Van den Hul D102 III with HiFi Tuning RCA plugs. (Look frighteningly much like he uses the same OEM as Furutech). Looks good. Will certainly be contacting you. 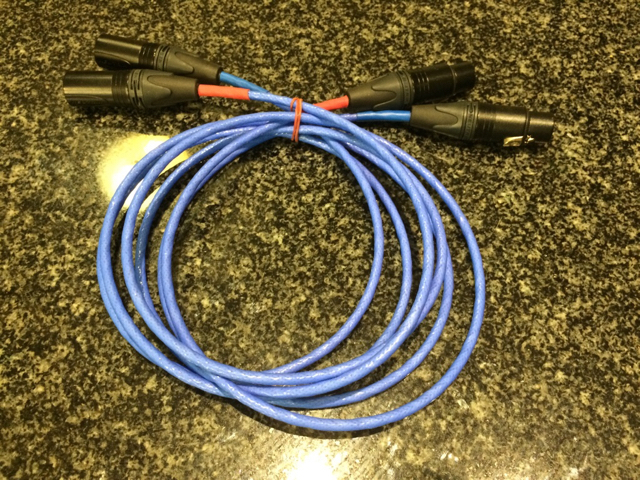 Still use the Cardas XLR cables you made up for me a few years ago. More QED shortened and multiplied. Cardas AWG21x2 screened with Cardas RCA plugs. 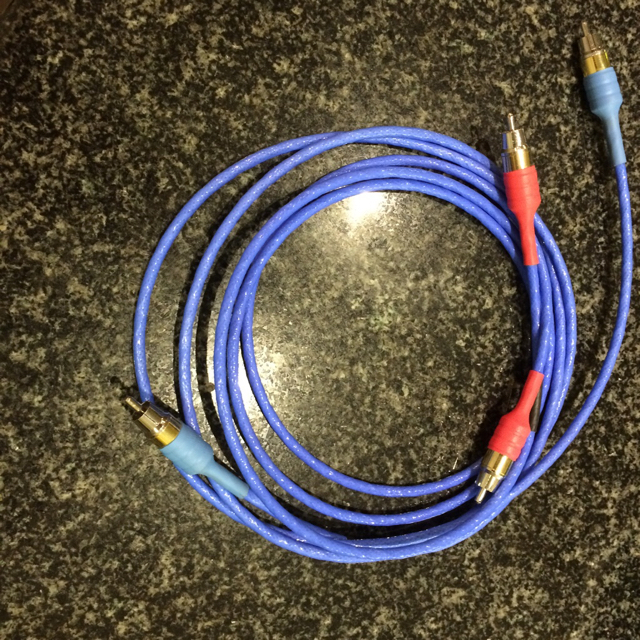 My most popular custom cable.